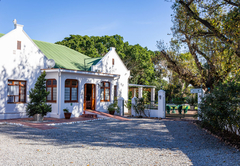 Green Olive Guesthouse is a Robertson Bed & Breakfast providing accommodation in 7 guest rooms for tourists visiting the Breede River Valley region. 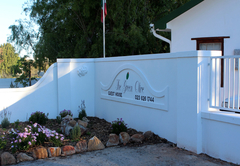 Green Olive Guesthouse boasts breathtaking views of the Langeberg Mountains. 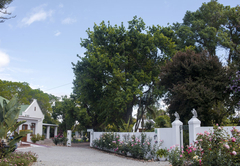 It is set between roses and vineyards on three and a half hectares of ground on the historic Goedemoed Farm. 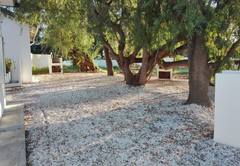 This is a wonderful place for a peaceful break away. 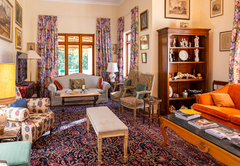 The Main House rooms are all separately accessible from the large veranda. 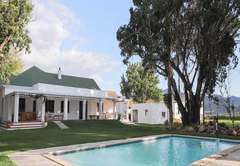 There is a shared shaded braai area, swimming pool and ample parking. 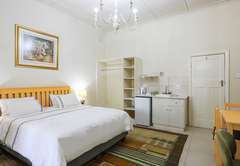 The room has an extra length King-size bed, coffee / tea making facilities, fridge, bathroom with shower and bidet. 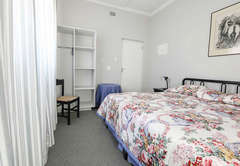 This room has two single beds which can be joined together. There is a large Victorian bath. 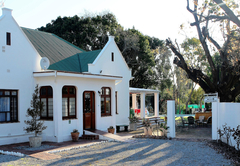 Coffee / tea making facilities are provided and the patio overlooks the garden. 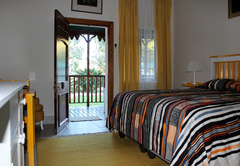 The room is furnished with an extra length King-size bed and has a bathroom with a shower. 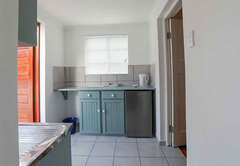 There are tea / coffee facilities, a sink and fridge. 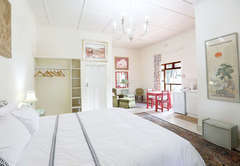 The suite has two bedrooms and a shared bathroom. 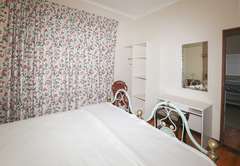 Each room has two single beds which can be converted to a double bed on request. 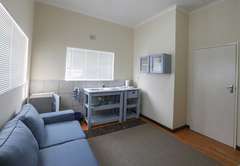 There are tea / coffee making facilities, a fridge and braai facilities. 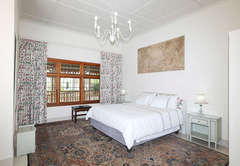 The suite has two bedrooms, one with an extra length King-size bed and one with two single beds. The bathroom has a shower. 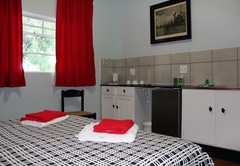 The room has tea / coffee making facilities, a sink, fridge and braai. 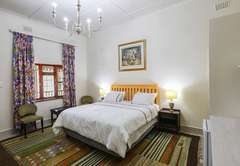 The room has an extra length, King-size bed. There is a bathroom with shower. 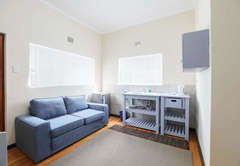 Two guests are accommodated on a sleeper couch. 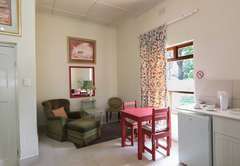 The room has tea / coffee making facilities, a sink, fridge and braai. 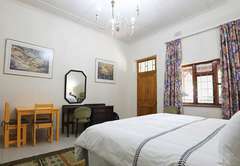 This room has two double beds and bunk beds, tea / coffee making facilities, a kitchenette, a bathroom with a shower only and free Wi-Fi. 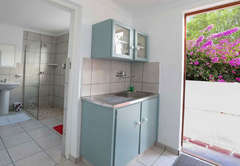 King size extra length bed, coffee/tea station, fridge, bathroom with shower and bidet. 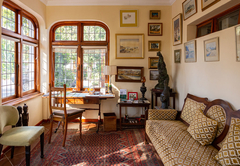 Victorian large bath and 2 single bed. May be joined together if required. 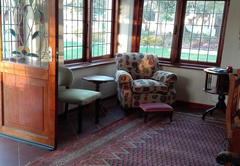 Coffee tea making facilities.Patio overlooking garden. 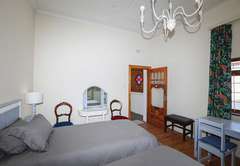 King size extra length bed with en-suite shower, coffee/tea making facility and sink and fridge, wheelchair friendly. 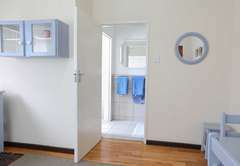 2 Bedrooms, share a bathroom with shower. 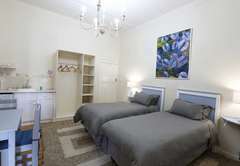 2 x single beds in each room, can be a double bed on request. 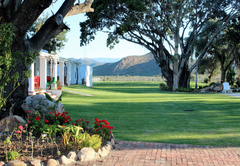 Tea/coffee making facility and fridge, individual braai facility. 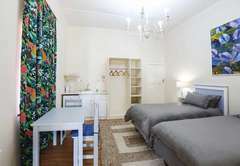 Two bedrooms with extra length King size bed and one with 2 single beds. Coffee/tea making facility, sink and fridge. 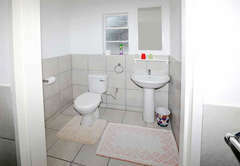 Bathroom with shower, individual braai facility. 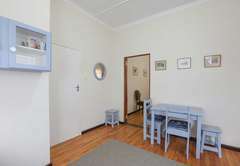 Family unit with tea/coffee maker, kitchenette, shower only, free Wi-Fi. 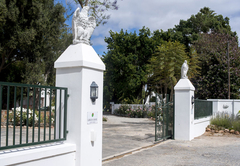 Response timeGreen Olive Guesthouse typically responds to requests in 5-10 minutes.